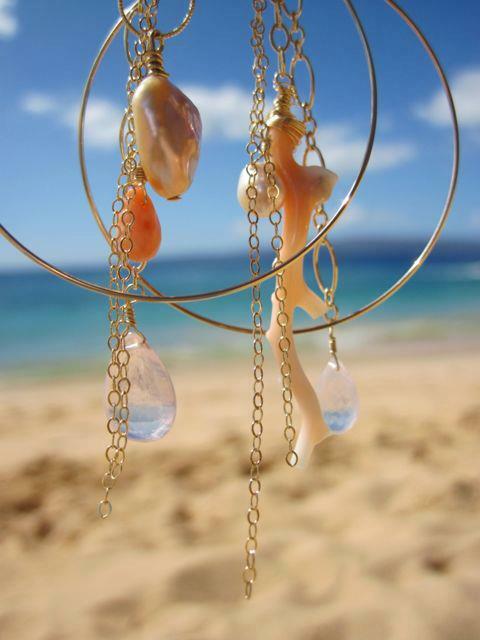 Everywhere you look around Maui, you can find beautiful jewelry, with shells, sharks’ teeth, pearls and various ocean motifs. 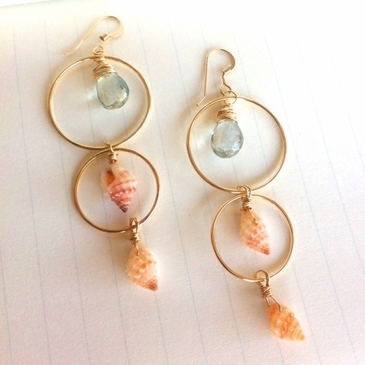 It can almost be overwhelming, but here’s a selection of ocean-inspired jewelry to help in your search for the perfect piece. 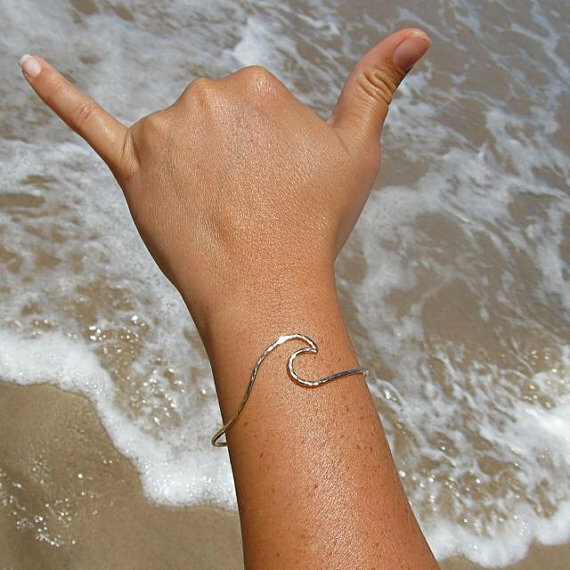 This gold wave bangle by Hana Maui Creations (available on Etsy) is hammered, then polished to a beautiful shine. 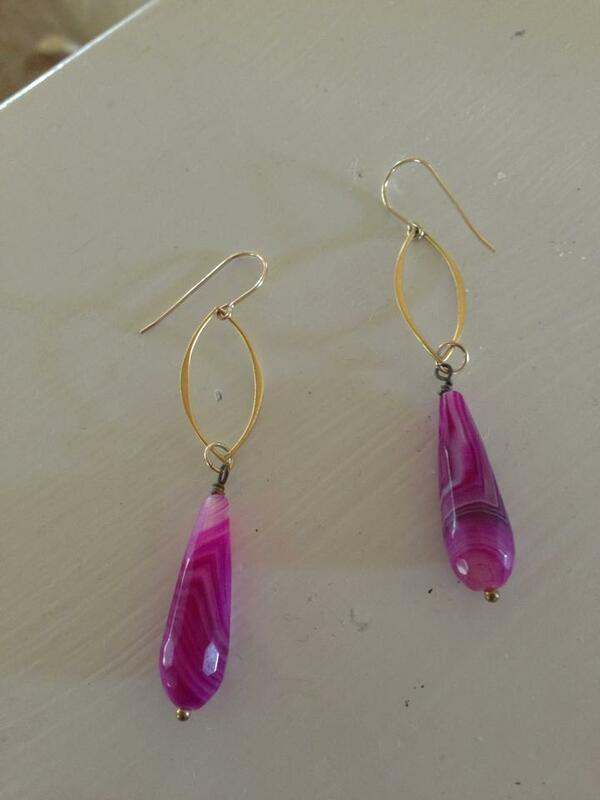 Made to order in your size, with 14g. 14k gold fill wire. Also available in sterling silver. 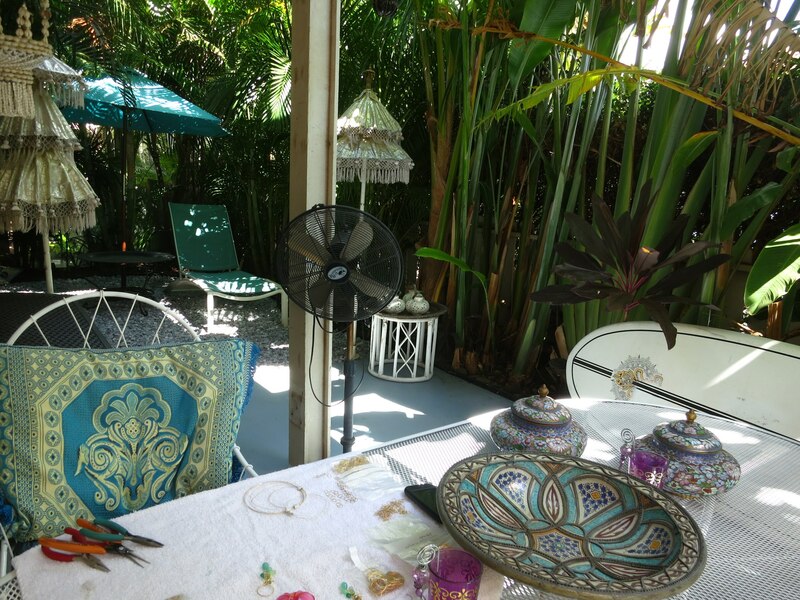 This Nina Kuna creation (also available on Etsy) is a delicately detailed matte gold coral branch which hangs on a turquoise wax cord, finished with a lobster clasp and signature NINA KUNA charm. 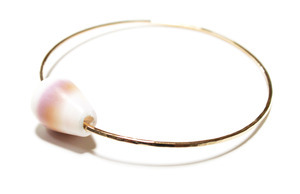 A hammered stackable cone shell bangle by Hula Hoops Maui. Available in gold fill, sterling silver or 14k gold and a variety of sizes. Dainty, delicate, and a bit dangerous. These shark teeth studs from Rockabella Jewels are cast from fossils, available in 18k gold vermeil, sterling silver or solid gold. Which jewels are your fave?